Arguably the most famous surf spot in Europe, Fistral Beach gets all the plaudits because it gets very good and often very challenging waves all year round. And that’s why Rip Curl Boardmasters and just about every national and international surf competition you can think of are held here annually. It is the largest beach in Newquay, so surfers can spread out along this sandy stretch during the autumn and winter months. South Fistral is workable through all tides and more protected on bigger days when a southwest wind is blowing than North Fistral, which gets some meaty peaks on the left and right on big days. Summer inevitably draws the sun-seeking crowds and the beginners who get an overhead shock to the system when the big waves roll in. 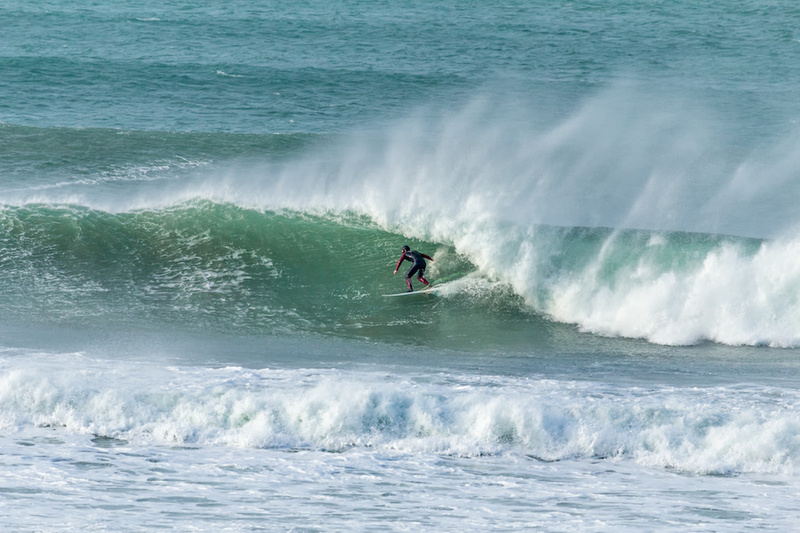 It’s a challenging but rewarding surf at the best and worst of times, which is why some of the best surfers in the world are drawn to Fistral Beach in Cornwall. Refreshment is provided by the highly popular Fistral Blue Bar, which offers a great view of the surf all year round.